IceBreak Consulting Engineers offers independent and specialised consultancy services in the field of coastal and harbour engineering with special emphasis on the Icelandic-type berm breakwater and armourstone quarrying. Sigurdur Sigurdarson, Principal of IceBreak Consulting Engineers, has a Masters degree in Civil Engineering from the Technical University of Denmark and over 25 years experience as a coastal and harbour engineer at the Icelandic Maritime Administration, earlier Icelandic Harbour Authority. His main emphasis has been on rubble mound breakwaters, specially the Icelandic-type berm breakwater, involved from all aspects; from design, model testing and quarry evaluation through to construction management and performance monitoring, working in over 4 continents. He has presented a number of conference papers on berm breakwaters and lectures in Coastal Engineering at the University of Iceland. 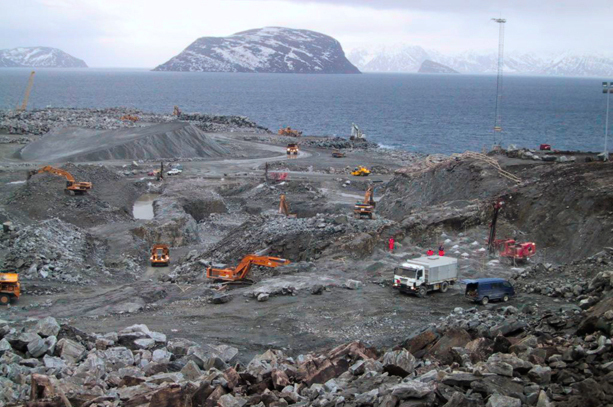 Sigurdur recently established the IceBreak Consulting Engineers specializing in breakwaters and armourstone quarries.